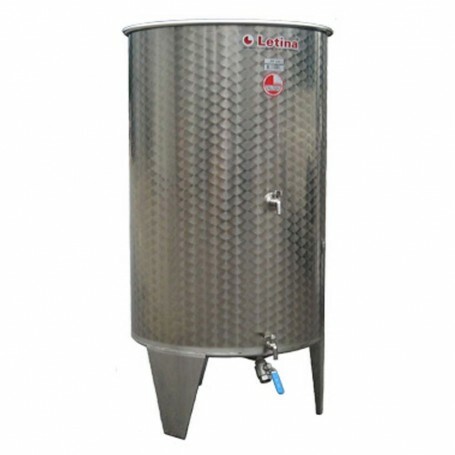 Stainless steel tank with floating lid 320l is good for storing wine and other nutritional liquids. Stainless steel tank with floating lid 320l has a highly polished interior of the container that allows to capture wine lime and makes it easier to clean the tank. Stainless steel tank with floating lid 320l has the pipes and valves that are made of stainless steel.